All vegan and plant-based bloggers from our top list are a great source of culinary inspiration. 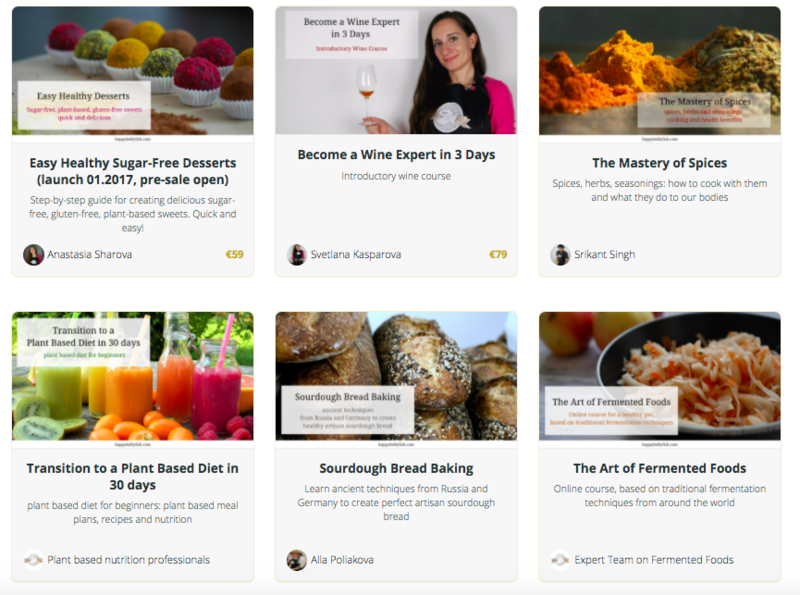 You will find here both big names from the food bloggers world as well as smaller, but equally delicious blogs. It doesn’t matter if you follow a plant based diet or a vegan lifestyle, or if you just want to incorporate more whole foods, fruits and veggies into your diet and eat healthier. These amazing bloggers share creative recipes, knowledge and their passion for clean eating. This blog and You Tube Channel is run by Sadia, a Dietetics graduate (an expert in human nutrition). Besides delicious recipes she also shares nutrition advice, food hacks and tips for minimalism living. Ella started her blog when she turned to plant based diet as a mean to cope with a chronic illness. Since then she became a real sensation and inspired hundreds of thousands to improve their diets with her healthy wholesome recipes, which she shares on her blog and Instagram. Gaz is a professional chef who started his career at the age of 14. He hosts his own cooking show on You Tube, sharing his delicious vegan recipes, many of which are real masterpieces. Gaz knows how to cook in style, and his camera work and instructions are excellent. Sarah is a Holistic Nutritionist and a Certified Nutritional Practitioner and she built her blog around her plant-based way of eating. 99% of her diet consists of vegetables, fruits, whole grains, beans, lentils, nuts, and seeds – and you will find all these ingredients in her recipes! Gena has overcome anorexia in her teen years and eventually turned to a vegan lifestyle, learned to love cooking and managed to heal herself from an eating disorder. Her blog is the real help for those who are always looking for simple yet nourishing vegan meals recipes. 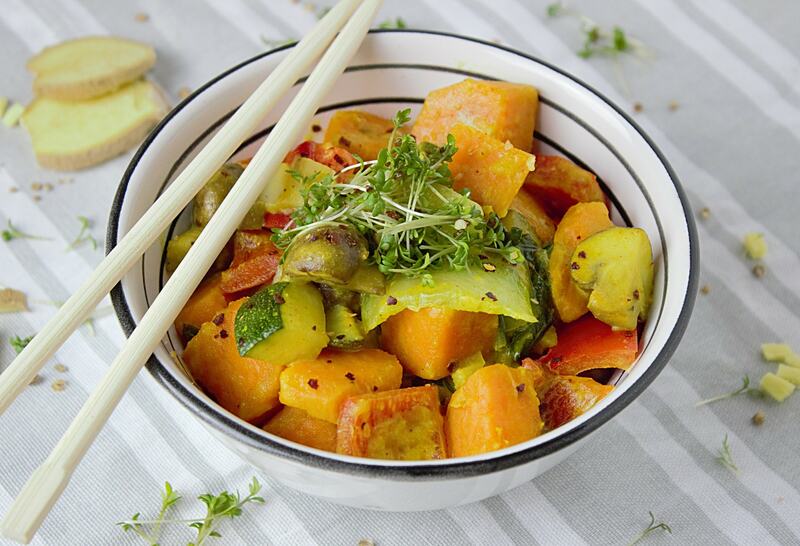 Rika and Doni are avid travellers, who share plant-based (mostly) Asian recipes on their blog. Their recipes are flavourful and unique, and their travel notes are utterly inspiring. Isa has been creating delicious vegan recipes for over 20 years, and she managed to turn her passion for great food into a profession. 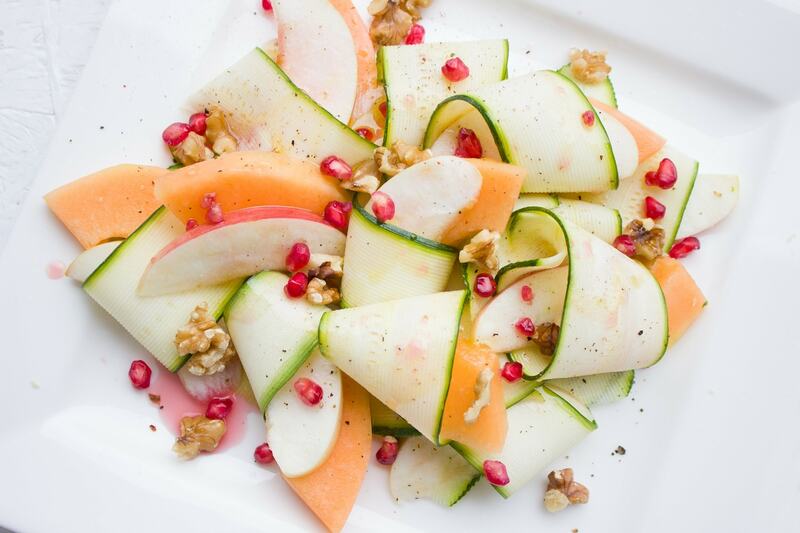 Her blog offers exquisite vegan recipes along with gorgeous food photography. Heather Crosby, who calls her self a “veggie-lover”, shares her knowledge and resources for those, who want to lead a healthy yet delicious life. Her blog is a judgement free space with loads of recipes and meal plans, and it serves the goal to inspire more people to enjoy vegetables. Ashley is a professional psychologist and a recipe creator who focuses on simple plant-based, vegan recipes. 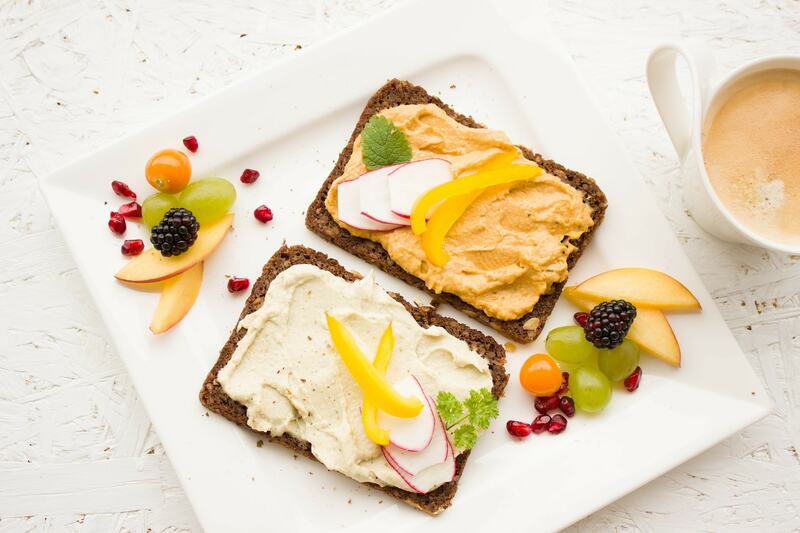 On her blog she offers a wonderful collection of both delicious and visually appealing recipes, including raw vegan meals, pastas, gluten-free dishes and healthy snacks. Since switching to a vegan diet Jenné has significantly improved her digestion, treated acne and freed herself from anti-depressant drugs. She shares easy-to-make vegan recipes and healthy eating tips on her blog and You Tube channel. Pixie is a registered associate nutritionist, who describes her plant-based diet as “‘a diet based on plants’, not necessarily a diet solely consisting of plants”. Besides sharing recipes, she also shares a lot of nutrition information, from a professional point of view, and occasional travel notes and fitness inspiration. Shannon believes that plant based foods beautify from inside out – they make your gut healthy and your skin glowing. Her blog is not just about food, but also about beauty, wellness and general vegan lifestyle. Somi’s blog is a perfect place for those who are just starting out the transition to vegan or plant based lifestyle. She focuses on simple recipes, special tips and tricks and vegan nutrition as a whole. Sarah is the creator of a popular You Tube Channel Sarah’s Vegan Kitchen, where you can find lots of daily vegan meals ideas. On her blog she shares written recipes, where one section is completely dedicated to “fake meat” recipes, if this is something you are into. Susan, who found her balance by eating raw and plant-based cooked foods, shares her knowledge and experience on her blog. Through her website you’ll find not just amazing recipes along with stellar food photography, but also a community of like-minded people. Jane showcases on her blog how effortless can vegan cooking be, and how diverse a plant based diet is. Her recipes are easy to replicate and will suit for vegan foodies of any age. Taavi shares a lot of recipes that resemble traditional treats – but don’t get confused, all of them are vegan. Her section on desserts has a big collection of healthy vegan baking recipes, which includes many cookies and cakes. Alexa’s blog is full of ideas for hearty vegan meals, which you can easily prepare in your kitchen. She also shares gorgeous and innovative recipes, like color changing pasta or vegan parmesan (yes, such a thing exists!). Jen is a certified raw vegan chef who shares her recipes (not just raw) on her blog. Her diet once consisted of many unhealthy eating habits, including loads of fried foods and sugars. After she transitioned to a plant based lifestyle, coupled with the evolving yoga practice, she never looked back. Mrs. Plant has an inspiring story. Just 6 years ago she was a sedentary Type 2 diabetic, a fast-food junkie, taking oral medications 3 times a day. She switched to a plant-based diet cold turkey, went off medications in 3 month completely and managed a significant weight loss. On her blog she shares her recipes as well as specific information for people suffering from Type 2 diabetes. Maria, a certified Nutritional Consultant, calls herself a healthy Greek Canadian fitness and food enthusiast. She shares recipes of sugar-free desserts, colorful breakfasts, nutritious snacks and dinners, along with her excellent food photography. Beth shares recipes and tutorials for a dairy-free, meat-free and egg-free diet, focusing on the meals that are both healthy and affordable. A special part of her recipes is dedicated to (vegan) re-inventions of traditional meaty dishes, like tacos or cheese sauce. Brittany and William, a young married couple, features over 180 vegan recipes on their website. Their meals are especially suitable for beginner cooks and those who lead a busy life and are short on time. They show that a vegan diet doesn’t need to be restrictive at all. Iosune (a health coach and a recipe developer) and Alberto (a food photographer and stylist) share delicious vegan and gluten-free recipes, which are also simple to make and look gorgeous. They have a special section on their website dedicated to vegan Spanish recipes, which is unique! Shannon’s blog is a great place to get inspiration for simple, budget-friendly vegan meals, without the use of refined sugars or refined oils. Focusing on regionally available foods, Shannon features the seasonal produce from the Mid-Atlantic United States. Through her recipes Julie showcases that vegan food doesn’t need to be complicated or expensive. She offers a vast collection of raw recipes, as well as adopted vegan versions of traditionally meaty and cheesy dishes like pizzas and burgers. Alissa, a recipe creator and an avid yogi, gets creative in her kitchen and loves to “veganize” traditional recipes. Her nacho sweet potato cheese and vegan mozzarella sticks are a great testament to that! Richa Hingle, a person behind this blog, is an award winning recipe developer and an author of a best-selling cookbook. Her focus is vegan Indian cuisine – she lists over 1000 recipes, featuring different legumes, beans, lentils, pulses, veggies, whole grains, whole grain flatbreads, nuts, seeds and greens. Amrita is a Melbourne-based, Singapore-native graduate of Le Cordon Bleu London and an animal rights activists. She shares healthy, 100% plant based vegan recipes suitable for everyone, with a professional touch of a food stylist. 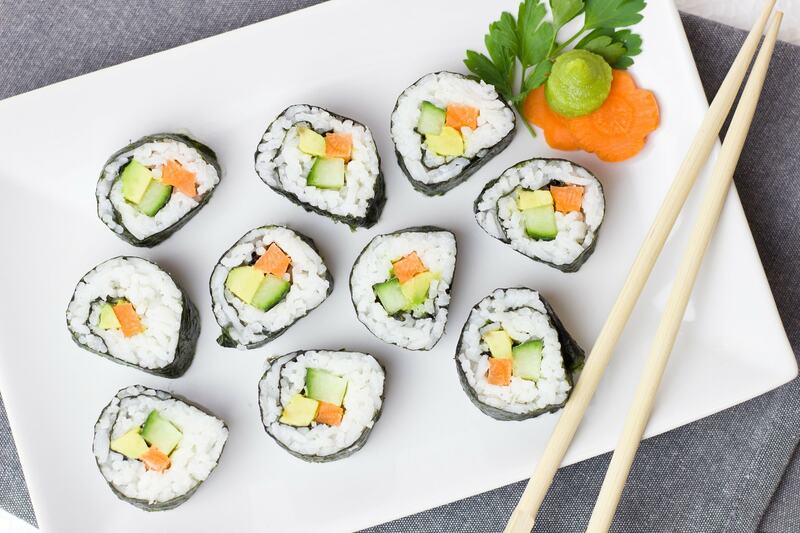 Her colorful sushi and desserts will inspire everyone to get creative in the kitchen. The vegan recipes of Steven, the creator of this blog, are unique, because they are completely free of tree nuts. His website is a treasure box for those who have nut allergies but still want to follow a plant-based or vegan lifestyle. Sina, who was once a real cheese-addict, shares her vegan recipes as well as tips for vegan travellers on her blog. You will find tonnes of plant-based and whole-food meals on her website, many of which take no more than 30 minutes to prepare. Caitlin is a vegan food and lifestyle blogger who shares her creations on her website and on her popular You Tube channel. All her recipes are oil-free, so it’s a perfect match for those who want to learn to cook wholesome meals without any use of oils whatsoever. Em, an award-winning food blogger and a best-selling cookbook author has been living vegan lifestyle since she was 16. She shares her recipes with a touch of a truly unique style, both in writing and photography. 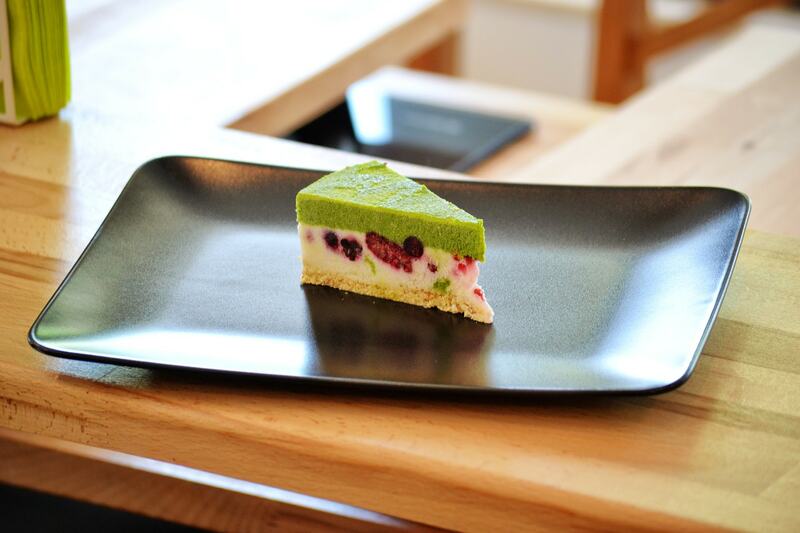 Her collection of raw vegan desserts is especially eye-catching. If you are fond of Mexican food, Dora’s blog is just the right place for you. A graduate of Culinary Institute of America, Dora adopted plant-based diet to improve her health and since then she has re-created numerous famous Mexican dishes (yes to tacos and tamales!) to suit vegan dietary requirements. Sam, coming from a family of butchers and hunters, went vegan overnight and she shares her easy vegan recipes with step-by-step tutorials on her blog. Her videos are full of optimism and humour, and her recipes are as creative as they can be – for example, a vegan egg, which looks exactly like a chicken egg cooked sunny side up! Timothy’s menus are truly original. He tries to incorporate cajun, creole, and southern inspired ideas into his recipes, along with local, seasonal, and often wild produce and mushrooms. He is also a professional artist who compliments his cookery with top-notch photography and teaches food styling. Jenn’s blog began as a way to document her journey on a 30 day whole foods plant based challenge and she hasn’t stopped writing ever since. She has a wonderful collection of recipes that take 15 to 30 minutes to prepare, just perfect for the busy vegan foodies out there. Nina is a student of Nutritional Medicine and Dietetics and she shares her passion for healthy lifestyle and nutrition through her blog and instagram. Her recipes are simple, beautiful and diverse, and will inspire anyone to make their kitchen healthy. Veganism has completely changed Margaret’s life, and she eagerly shares her success to inspire others who already follow a vegan lifestyle or just find themselves in transition. Her recipes are simple and beautiful, and you will even find some ideas for vegan dog treats. Initially, Bianca started her blog to keep a better track of what she was eating and what she was able to cook. Today, besides delicious recipes (where an entire section is dedicated to homemade breads!) her blog also offers a lot of information for those who are just starting our with a vegan diet. Ilene is a certified health coach, who combines her love of color and texture with plant-based cooking on her blog. Her healthy recipes are mostly gluten-free, and through their colorful presentation they are the real pleasure for the eyes! Kathy Patalsky is the author of two cookbooks and the founder of blogger-fueled recipe website Finding Vegan, who strives to inspire everyone to enjoy more veggies and fruits in their diet. Her blog is not just about delicious vegan recipes, it is a lifestyle blog, full of beautiful photography and inspiring travel notes. Laura is a Culinary School graduate, who grew up with agriculture and spent years working in restaurants. Her blog is about “living simply, cooking, and staying connected to the earth”. Her marvellous plant-based recipe collection includes everything from easy dips to wellness smoothies and hearty stews. This blog is run by Amanda, a Culinary Nutritionist, and Aaron, an award-winning Creative Director. Most of their vegan recipes feature not more than 10 ingredients and require minimal kitchen equipment, as well as just a few minutes for preparation. Melissa and Marcus created their blog with the mission to give inspiration to those seeking a healthier lifestyle. With their passion to create homemade healthy versions of unhealthy foods, they turned their blog into a “one-stop shop for great healthy recipes”. This is a fantastic resource! We are not vegan, but constantly trying to find creative and delicious ways to add healthy foods to our menu. I love Pick up Limes! One of my favorite YouTubers! I haven’t heard of the rest of these, but I will definitely check them out. I had two classmates switch to a vegan diet this year, and some of the foods they bring to class look so good! I’ll take a more in-depth look at a few of these links because I think it would be great for me to eat vegan meals at least a few times a week. Thanks for this! What an amazing compilation of the vegan and plant-based blogs, I need to check them out and also to pass along in my circle, few of my friends have been looking for vegan and plant-based diet ideas. I’m no vegan but I’m really trying to eat healthy foods. Those recipes are a must try though. What a fantastic idea to showcase so many other great vegan bloggers. I will have to check some out. What a great list you put together, thanks for sharing it. I attempted to go vegan but couldn’t stick to it however I do try to eat as much plant based food as possibe! wow, what a great list of options and resources! Although I’m not vegan, I do like to incorporate vegan meals into my diet every few days! This list is super helpful for some more recipes. What an incredible source of information, not just for vegans but for people like me simply wanting to eat healthy. I’m bookmarking this along with a few direct links from above. Excellent idea! Such a useful list. I’m not a vegan but I am always looking for great alternatives for great recipes. There are incredible Vegan and Plant-Based Blogs. I really enjoyed reading your post and I learned a lot from it. Great job! They should of made it 47 of the best. They left out Gaz Oakley (Avant Garde Vegan) and Sukkari life. They have really great youtube channels and recipes. Sorry they do have Gaz Oakley (Avant Garde Vegan). My mistake. Still check out sukkari life on youtube.